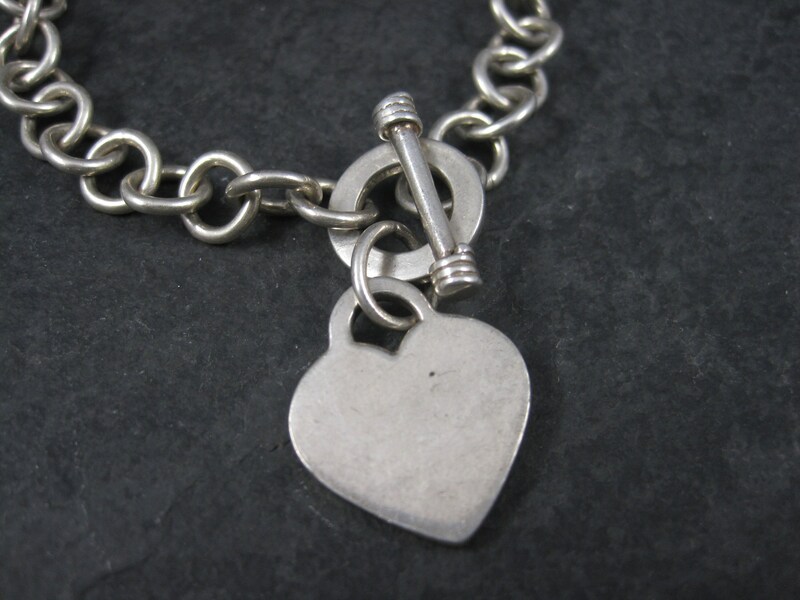 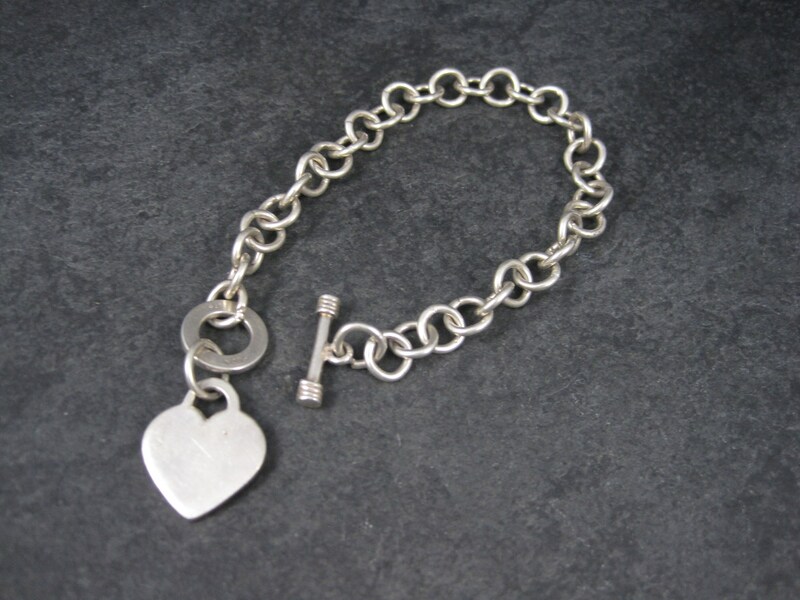 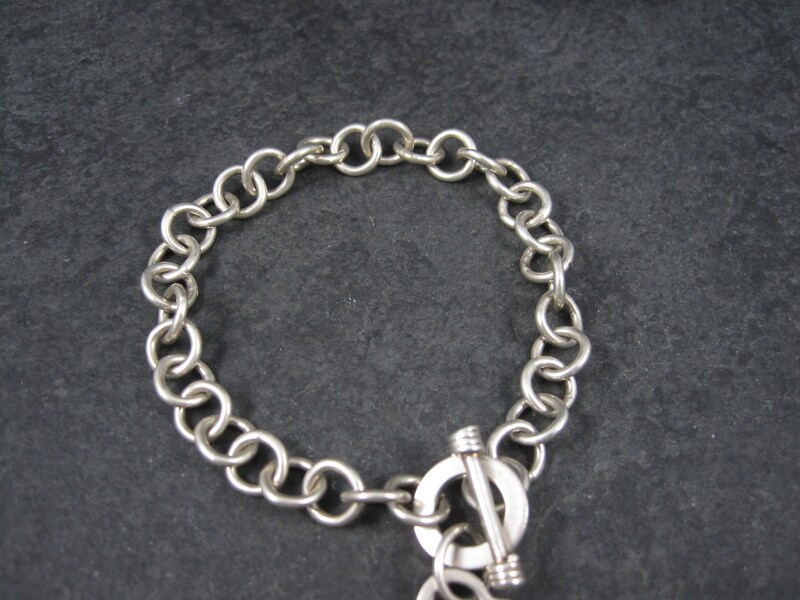 This beautiful toggle bracelet is sterling silver. 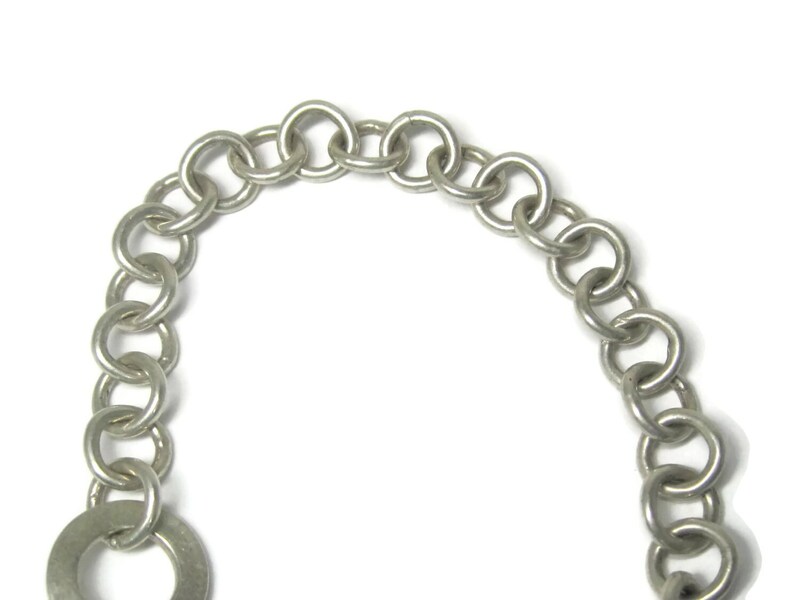 The chain links measure 8mm wide. 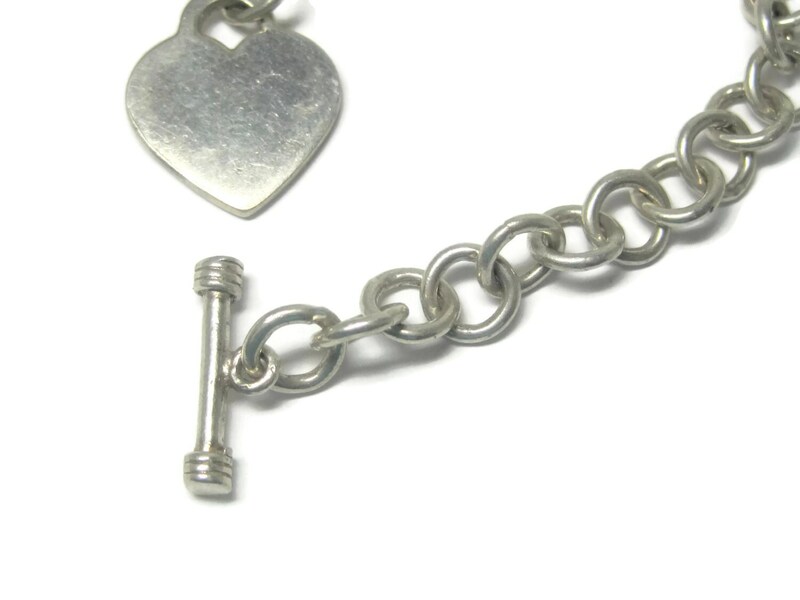 The charm measures 3/4 of an inch. 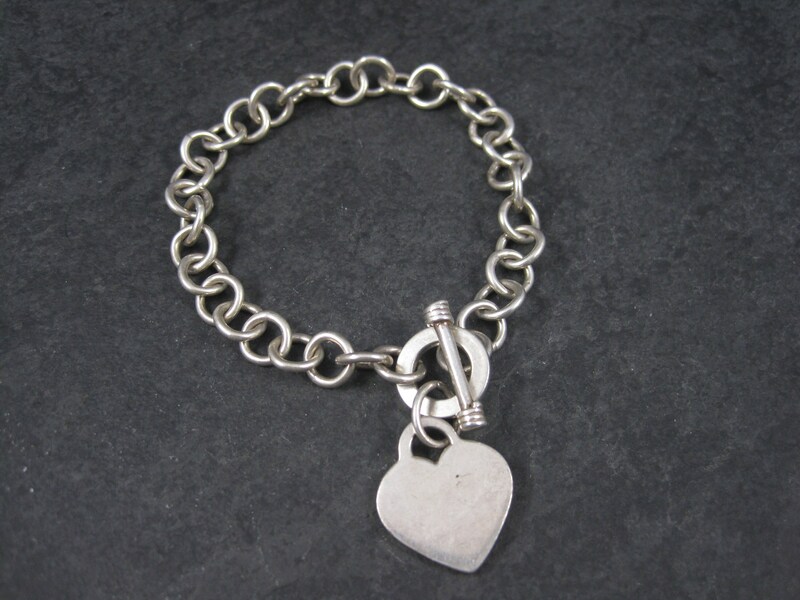 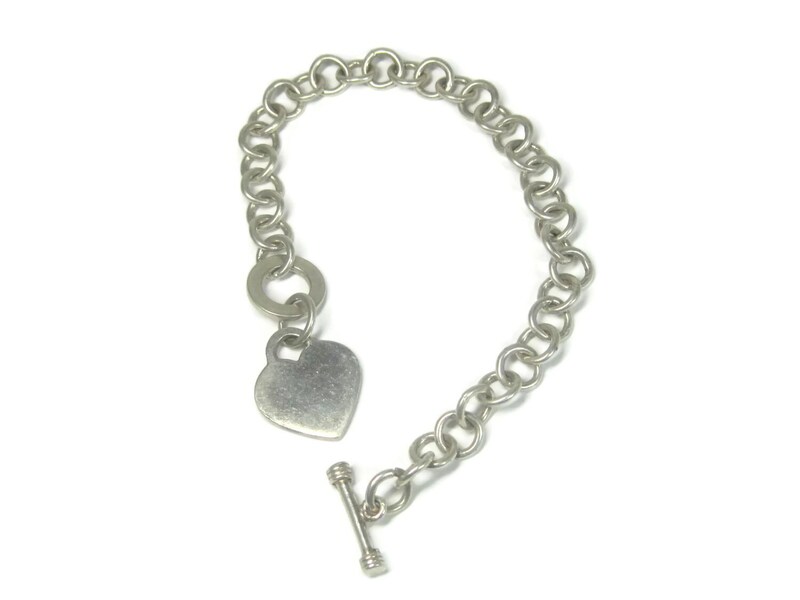 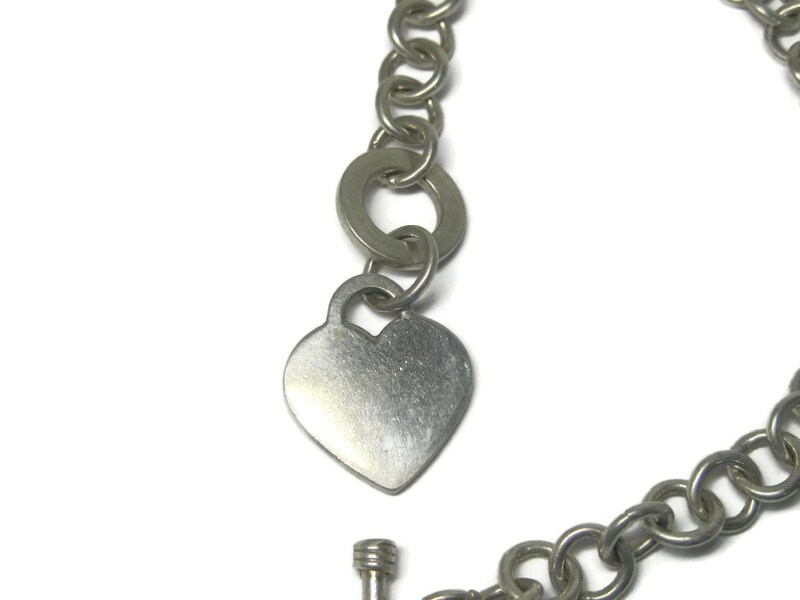 The bracelet measures 7 1/2 inches, not including the heart charm. 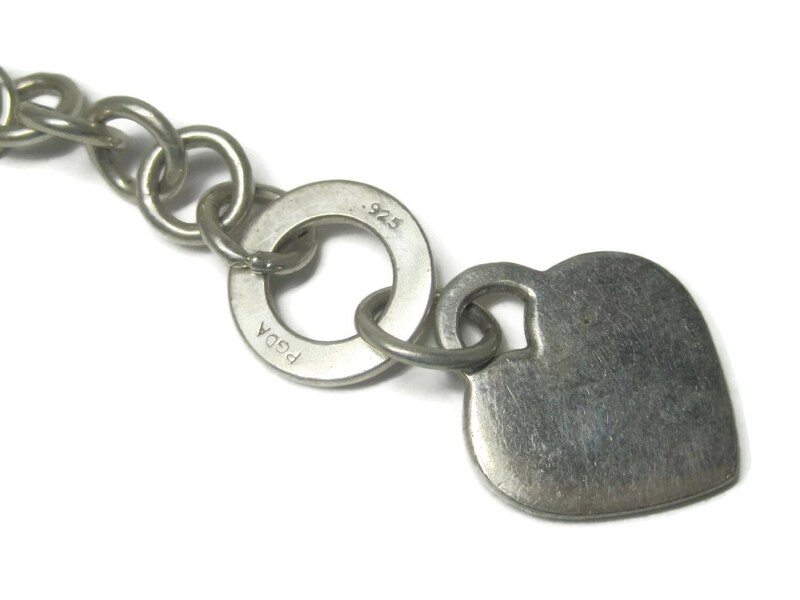 PGDA is the hallmark for Pagoda.